Jonathan studied to be a Dental Hygienist whilst serving with the Royal Navy and qualified with a diploma in Dental Hygiene from the Royal College of Surgeons Edinburgh in 2010. He is passionate about dental health education and passing on in his professional knowledge to improve the oral health for all his patients. Working alongside a Periodontal Specialist and serving in several different military establishments, Jonathan brought with him a wealth of experience when leaving the Royal Navy in 2014 and returning to Cornwall. After serving for over 12 years in the military, fitness has always been an integral part of his lifestyle. He enjoys trying to maintain a good level of fitness, and managed to qualify as a level 3 Personal Trainer in 2013. Originally from Durham he travels back to spend time with family when he can, but he likes nothing better than walking with his two dogs and enjoying the beauty of the Cornish coast and countryside. 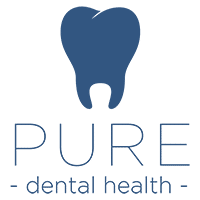 Joined Pure Dental in 2017 as a Dental Hygienist.